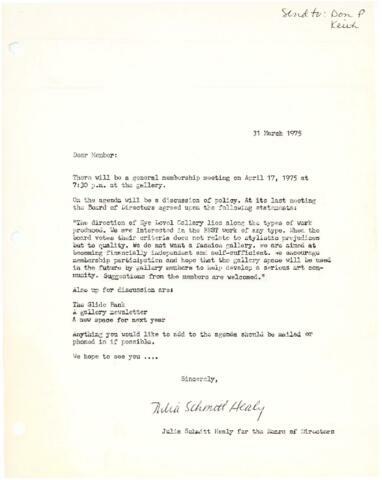 Item is memo for a general membership meeting that happened at the Eye Level Gallery on April 17, 1975. The letter identified agenda items, which included a discussion policy, the slide bank, a gallery newsletter and a new space for next year. The letter is from Julia Schmitt Healy. Item is a typed document.